The TFS is composed of a self-supporting anodized aluminum structure, combined with a PVC fabric of the best quality with bar tension tightening. The bar tension tightening gives the roof fabrics their striking appearance. Its striking taut roof fabric, amazingly high inside space, the unique arched form and the careful finishing make the TFS the highlight of our range. 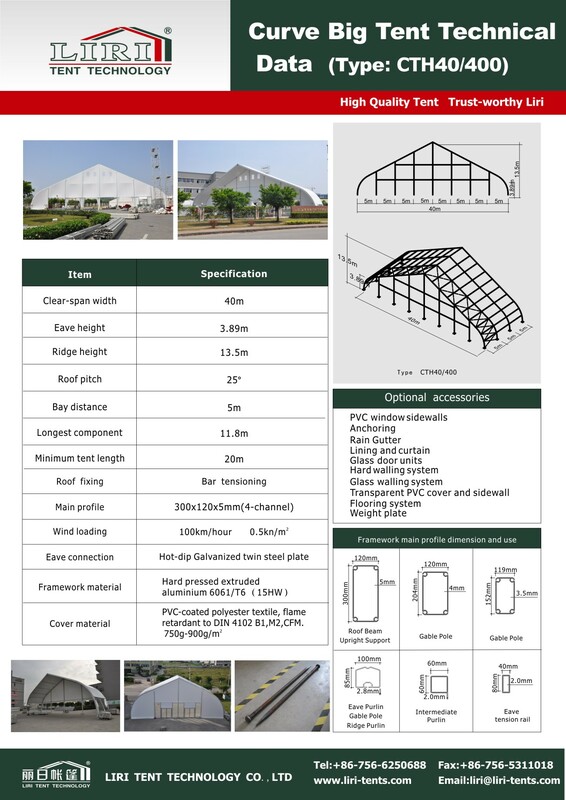 A hall that is suitable for various purposes: exhibitions and other large events, covering for storage, workplaces, shopping centres, covering for terrains for various sports like tennis, volleyball basketball, etc… Even swimming pools can be covered with this type of hall. 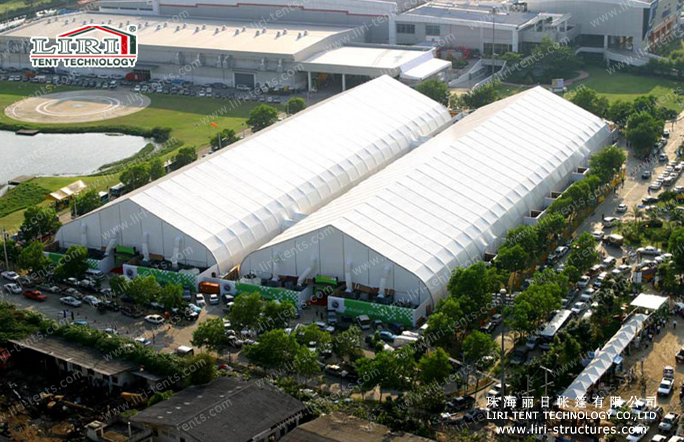 TFS tent from Liri Tent manufacture is available clear span width 10-40m and unlimited increments in length. You are free to contact us for more information. Thanks.